Chuck Jacobs, Bassist, author (The Bottom Line, Bass Beginnings Cherry Lane). 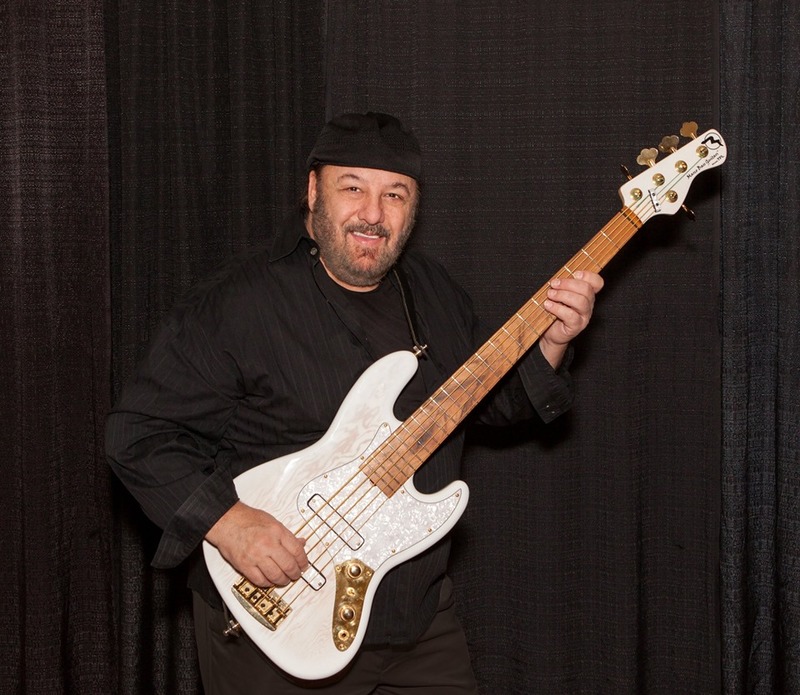 Originally from northern Michigan, Chuck Jacobs has been a professional musician, playing electric bass for over 40 years, performing in the studios and live all over the world with artists from a long list of superstars from; Kenny Rogers, Dolly Parton, Ray Charles, Lionel Richie, Alison Kraus, Wynona Judd, Smokey Robinson and many others listed below. Jacobs has played on numerous Gold and Platinum albums with Rogers. (Kenny, Gideon, The Greatest Hits, and many others. . . ) Jacobs also has distinguished himself as a producer, producing country acts in Nashville, as well as easy listening instrumental CDs in Los Angeles for Simplicity Records, which he co-owns with his brother Dan Jacobs, producing, and mixing over 30 albums. 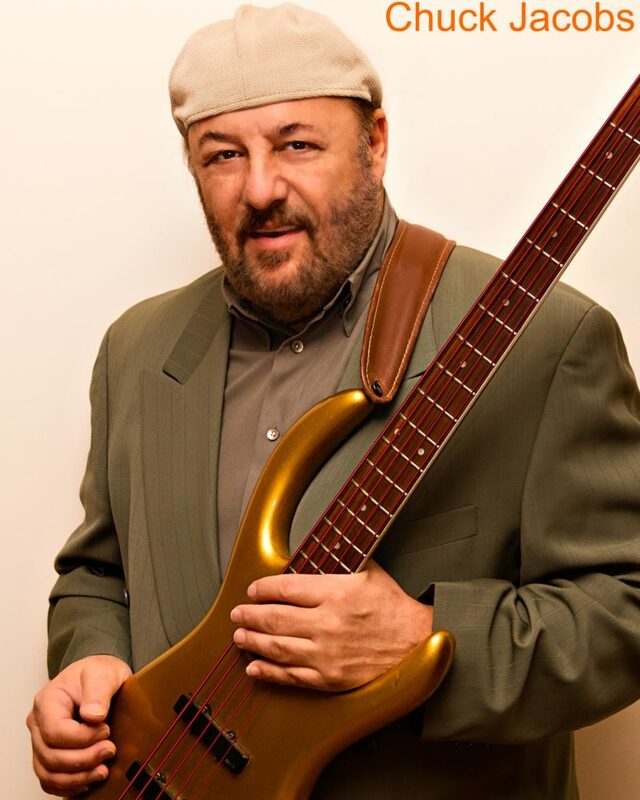 As a bassist, Jacobs worked regularly in the studios of Nashville from 79 - 89 before moving to the Los Angeles area where he has lived for more than 20 years. Through his career Jacobs has played with many different artists on TV, live or in the studio, including, Kenny Rogers, Lionel Richie, Alison Kraus, Dolly Parton, Smokey Robinson, Mel Tillis, Garth Brooks, Wynona Judd, Linda Davis, Phil Vasser, Ray Charles, Reba McEntire, Kenny Loggins, Trisha Yearwood, Faith Hill, Gladys Knight, Bill Medley, Crystal Gayle, The Oak Ridge Boys, George Burns, Mac Davis, Kim Carnes, The Righteous Brothers, Sheena Easton, Patty Loveless , The Smothers Brothers, Dottie West, Al Hirt,Holly Dunn, Mark Chesnut, The Forester Sisters, Gallagher, T. Graham Brown, Colin Raye, Billy Dean, Janie Frickie, Holly Dunn, Rebecca Lynn Howard, Shelby Lynn, Wayne Cochran & the CC Riders, Hank Ballard, Little Johnny Taylor. Author: Jacobs’ book “The Bottom Line” Cherry Lane (1984) was a great success and featured a somewhat different approach from the normal music. Instruction book. Instead of a “how-to” book on bass, this was more of a “why-you-play-bass” take on the subject of the bass, and included essays on the core concept, defining “the roll of a bass player in a group” as well as tips and exercises, not so much for the beginning bassist, but for those who already play bass. In addition, Jacobs featured interviews with some of the top bass players in the world; including Jaco Pastorius, Lee Sklar, Verdine White and many others. Plans are in the works to update this work with new interviews of current bassists and this will be published in the near future. Jacobs’ current work “Bass Beginnings” Cherry Lane features a “from-the-ground-up” instruction on how to play the bass. This is a great book for someone who knows absolutely nothing about the bass, giving full descriptions of every part of the bass, how it works, how to hold, pluck and play the bass. Including exercises play along CD etc. Early Work: Jacobs was a member of the Michigan based Rock-n-Roll group “The Rainmakers” in the mid-late 1960’s recording 2 singles that charted on the regional radio stations and were popular in the mid-west area, playing primarily in the active Teen Club market of that era. The Rainmakers were contemporaries of hot classic rock Michigan groups such as, The Bossmen, Terry Knight & the Pack (later to become Grand Funk Railroad) and even used to open for the legendary Bob Seger. In the late 60’s early 70’s Jacobs played with various bands including “The Dapps” based out of James Brown’s studio in Cincinnati, touring throughout the south with Hank Ballard, and Little Johnny Taylor until hooking up with Wayne Cochran & the CC Riders. Jacobs replaced the legendary Jaco Pastorius who played with the Cochran band in 1971. From there Jacobs moved to NYC and went on to play the Jazz circuit with The Roy Meriwether Trio, performing with that group from 1976 - 1979 playing in jazz clubs in NY, LA as well as throughout the US in college concerts, until in Jan of 1979 he joined the Kenny Rogers band and has been with Rogers since then performing both with his touring band throughout the world and actively recording on numerous albums, TV & film projects in studios in Nashville and Los Angeles.